The Bartlett House Museum is a Queen Anne style home built in 1903 for Henry Torkel Henryson and his family. H. T. was the son of Torkel Henryson who brought early settlers from Norway to this area in 1855. 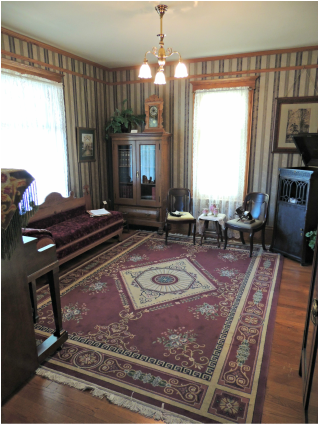 This home was purchased in 1996 by the Story City Historical Society with a generous gift from Dr. Frances Bartlett Kinne. It has been restored and furnished from the 1903-1920 era. 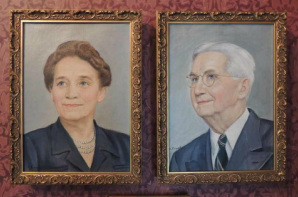 The museum is dedicated to Dr. Kinne's parents, Charles M. and Bertha Bartlett and her brother Charles. The home was placed on the National Register of Historic Places in 2005. The entry is nearly all original except for the French doors leading to the front parlor, the light fixture, and the spandrel in stairway. The spandrel was added because features indicated one was there before. All of the woodwork is original. 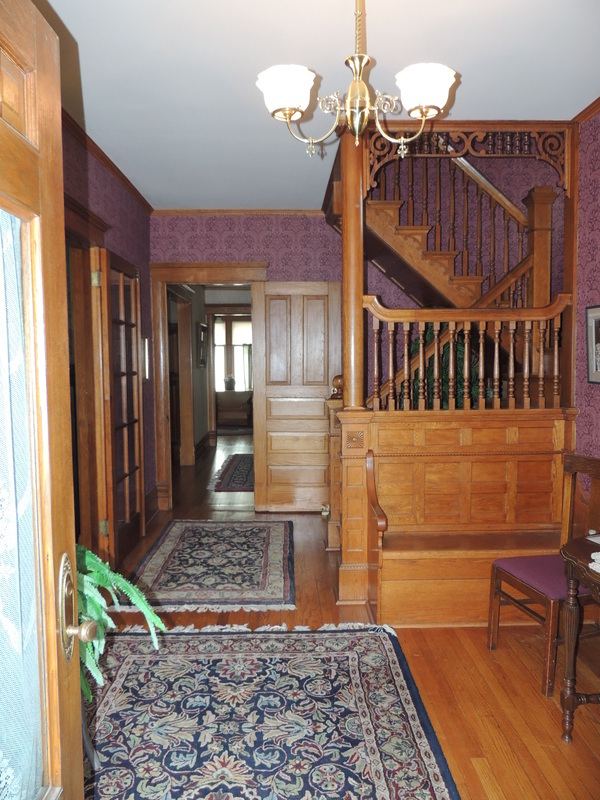 The floor plan of the entry with bench, “hanging” stairway and circular walking pattern from room to room is typical of Victorian homes. This room is where the family spent leisure time. 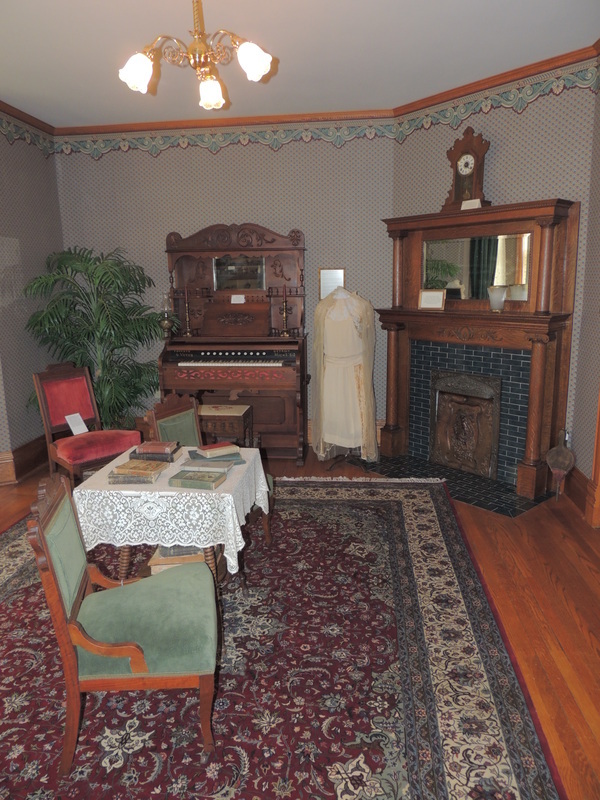 When the home was purchased by the Historical Society, the fireplace was just mantel high. Since the house to the north of the Bartlett was built at the same time by the same carpenter, the restoration team knew the fireplace had an upper mantel, at one time. With help from a local Questers group, a matching upper mantel was found and purchased. The fireplace cover was found in the basement during restorations. This parlor chair is the one piece of furniture that could have originally been in this house. The chair belonged the O.T. Henryson family. They purchased this home from O.T. 's younger brother Henry when his family moved to St. Paul in 1913. 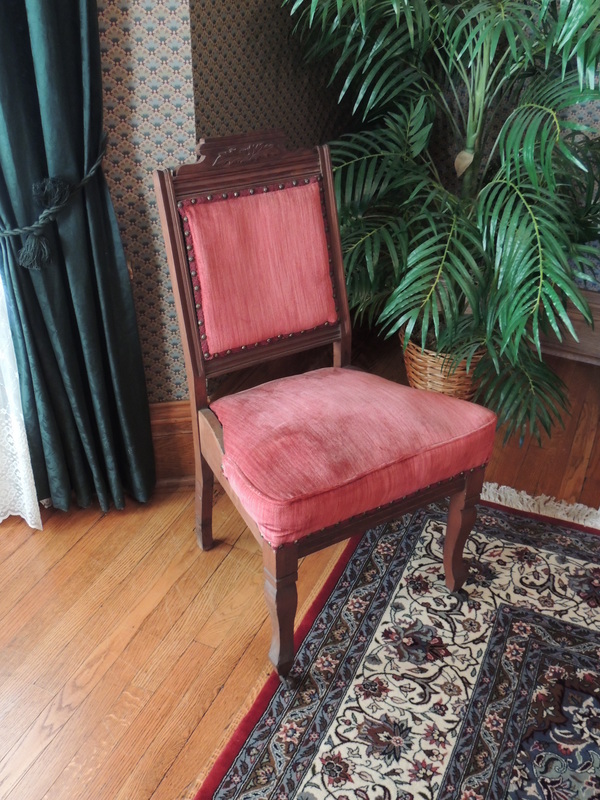 When the chair was donated to the Historical Society, it was restored with new fabric and finish. The chair is circa 1910-1920's. This room is where guests would have been entertained. All of the furniture has been donated, including a fainting couch that opens into a bed, a Victrola record player, and a piano. Many of the furnishings in the room were donated by Dr. Kinne. 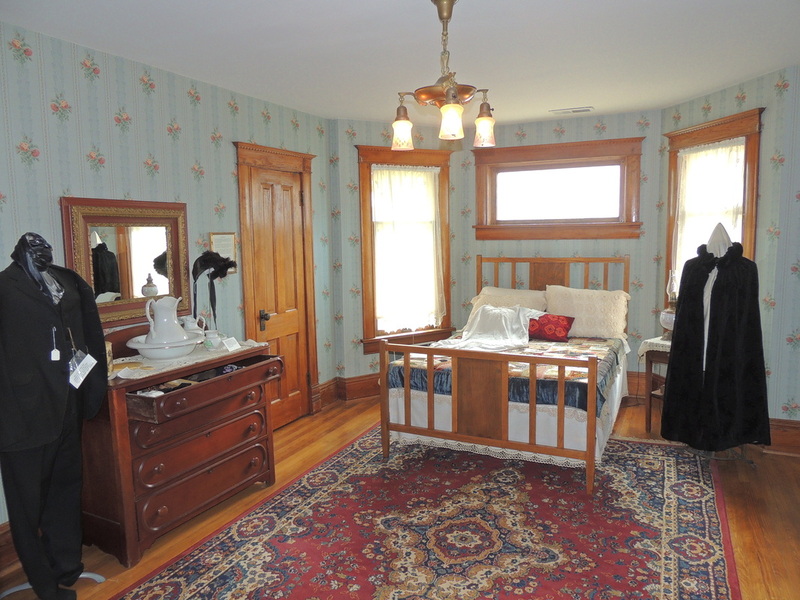 This room features a bed, dresser, and armoire with period clothing, including a Hart Schaffner Marx suit. 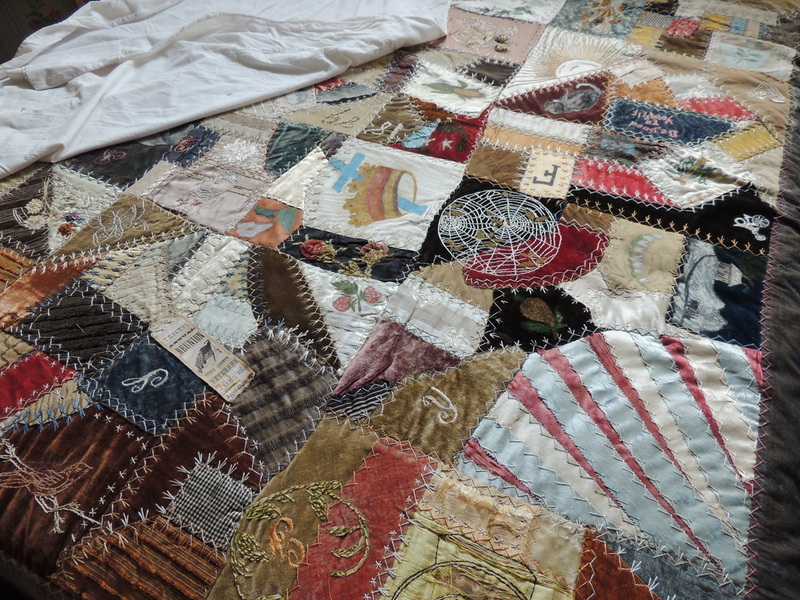 The bed is covered with a colorful crazy quilt from the late 19th century. The quilt was donated to the Historical Society in 1988 by the grandchildren of early Story City settlers Sarah (Kalsem) and Iver Wetteland. A Story County ribbon appears among the various patterns and fabrics that make up the quilt.